This year’s Canada Cup comes from the spectacular Richmond Olympic Oval in British Columbia. 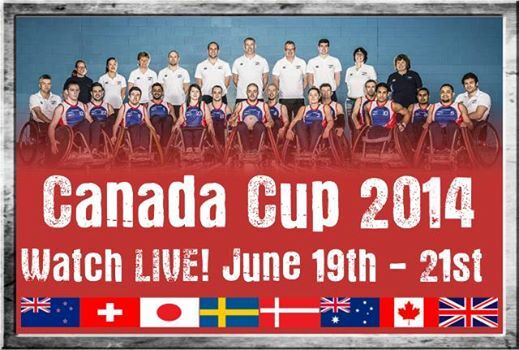 Being held biannually since 2004, with USA taking the honours every year bar one, it is one of the most prestigious events in the wheelchair rugby calendar. It would appear from the official website that the USA have not entered a team to defend their title, which means our boys and girls of GB go into this completion seeded 5th . Even with the omission of the USA, GB will be up against stiff competition playing tenacious Swedes before taking on the formidable 1st seed Australia on Thursday, then on Friday playing the 8th seed Switzerland . Sadly with a time difference of eight hours it will mean the Canada Cup clashes with the World Cup, making for a dilemma for all you die hard sports fans out there, oh the injustice of it. All that’s left to be said is to wish Michael and the rest of the GB squad all the best for the competition.